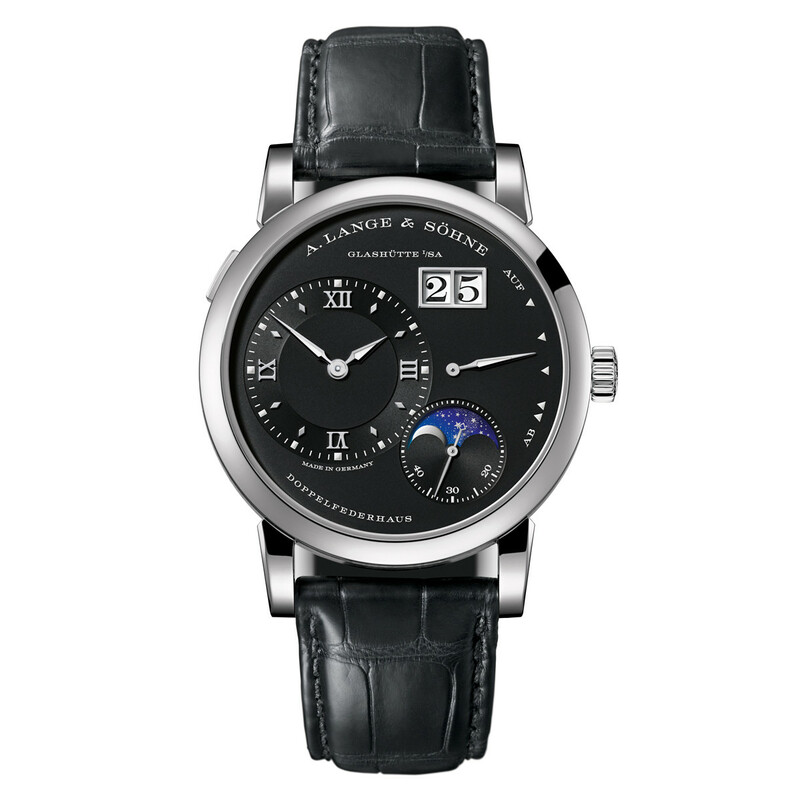 The A. Lange & Sohne Lange 1 watch (ref. 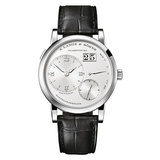 191.039) features the L121.1 mechanical manual winding movement with an over 72-hour power reserve when fully wound; solid silver dial with rhodiumed gold hands; Lange's patented large date display; small seconds subdial; UP/DOWN power-reserve indicator; sapphire-crystal, transparent case back; and 38.5mm, 18k white gold case on a hand-stitched, black crocodile strap secured by an 18k white gold adjustable deployant clasp. 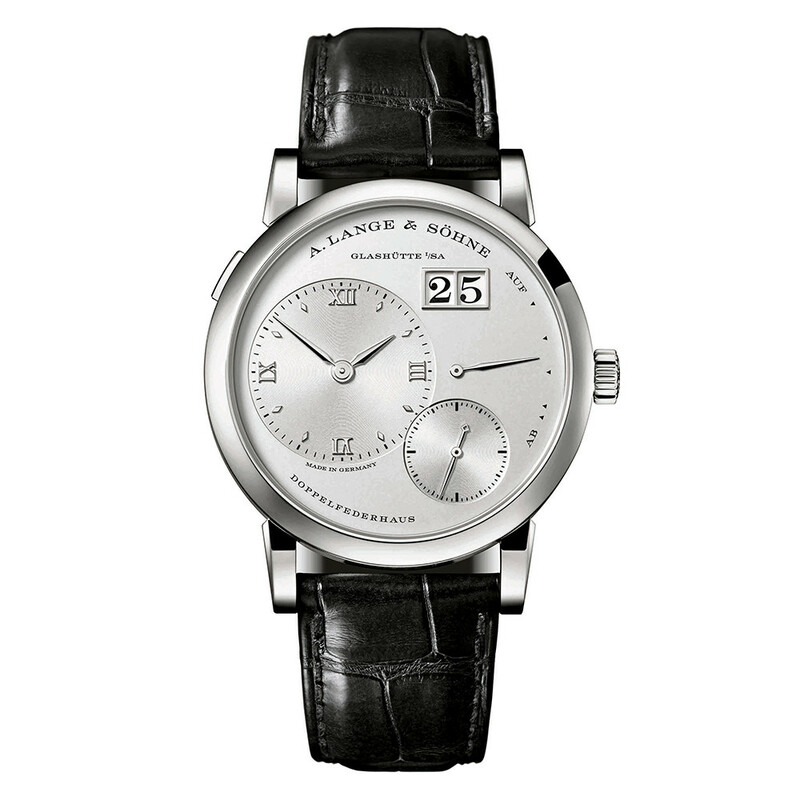 This model was introduced in 2016. 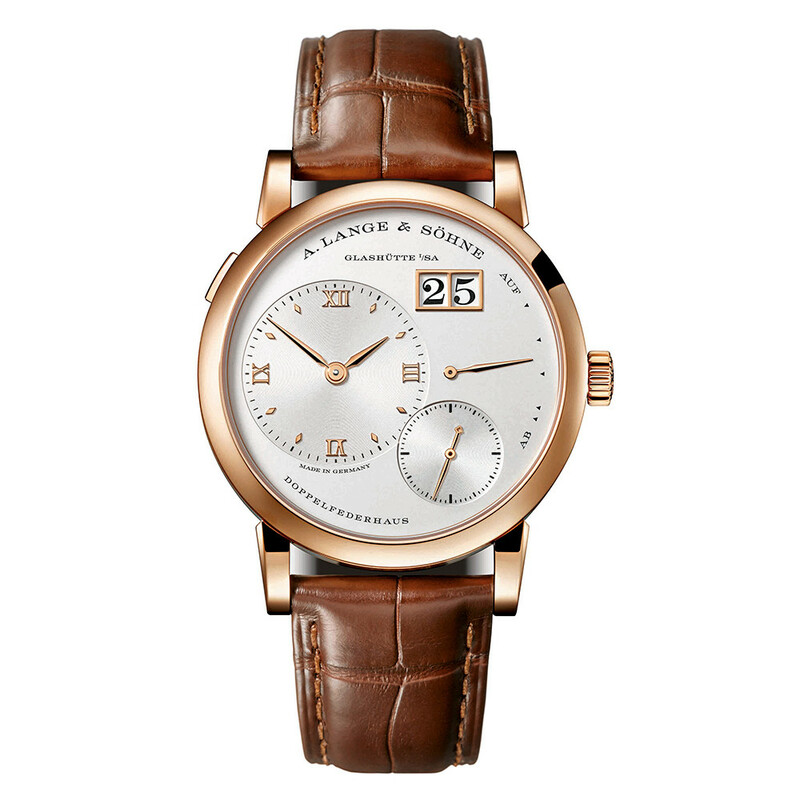 The dial is crafted from solid silver and graced with solid-gold appliques and hour markers. The hands are made of rhodiumed gold. 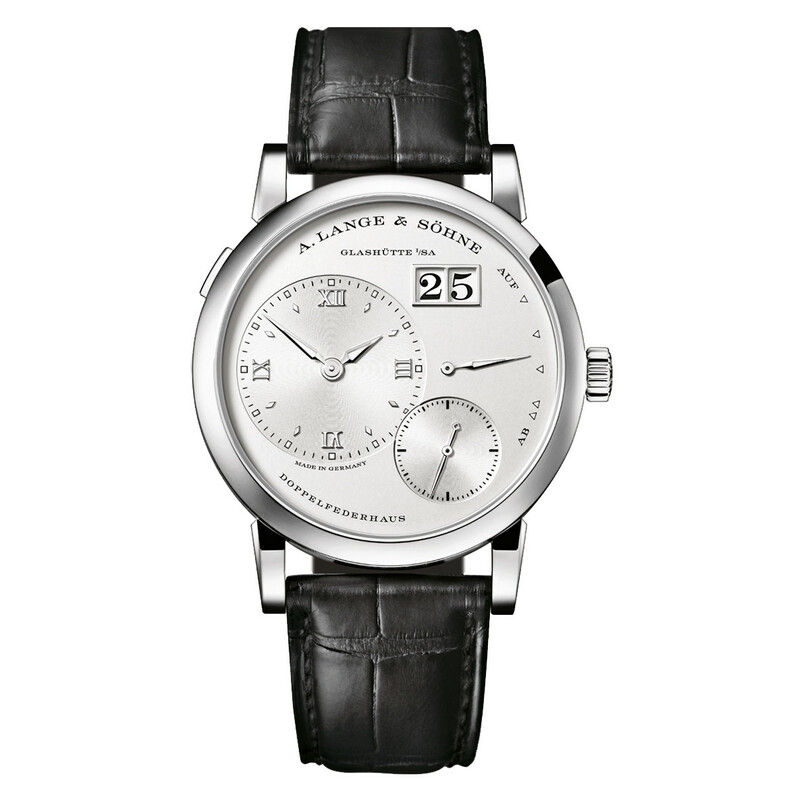 The hour, minute, and power-reserve hands as well as the hour and power-reserve markers are luminous.